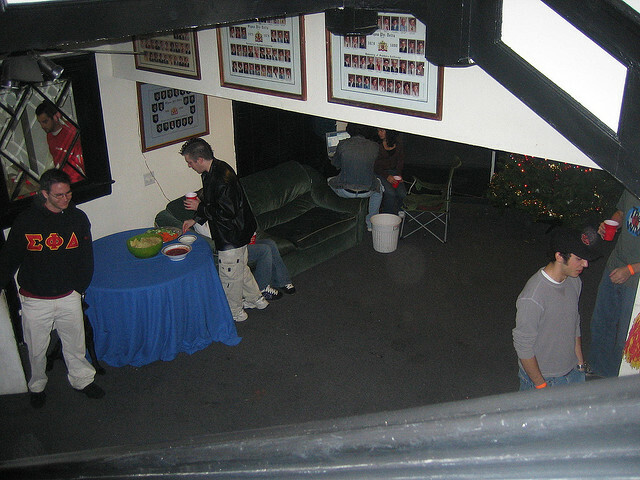 Loneliest frat brother hangs by the snack table, dipping his chip into Tostitos brand salsa. No girls from the sister sorority will show up. No kegs will be stood upon, no togas donned, no pledges hazed. The saddest frat party.